Peer to Peer Betting – Is It Better then Sportsbook Betting? Joining a betting exchange means you get to both lay and back bets, even if they’re live bets. That’s exciting stuff. It gives you the chance to play bookie and bet against your peers rather than a traditional sportsbook. So, if there much different between betting exchanges and peer to peer betting? When you first sign up to a betting exchange, it should be with the mindset that you’re going to lay and back bets for the best chances of turning a profit. What a lot of peer to peer punters do is try and guarantee themselves a profit by offering their own odds (that’s laying) on any event and then also placing bets (backing) when the odds change in their favour. This is completely possible since the odds change by the second on betting exchanges purely due to the number of customers visiting the sites. So, when you sign up to a betting exchange, you simply make a deposit using one of the banking options, look up which sports category you’re keen to bet on and then head over to the list of scheduled fixtures. You can then choose the ones that pique your interest and then either offer your own odds or back other people’s odds. When you decide to place a bet and accept the odds on offer, your stake money is deducted from your bankroll. 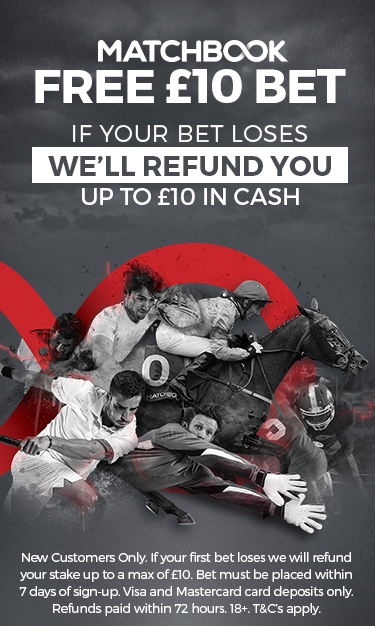 When you lay odds once another punter accepts the odds, the possible winnings you’ll have to pay out if they win are also removed from your account. Once you get the results, either the backer receives the winnings if the bet won or the layer receives their stake money placed by the bettor if that bet lost. Betting exchanges then keep a small commission from the winning bets. That’s how they cover their services and make a profit. Is Peer to Peer Betting Any Different? Peer to peer betting is what you do on a betting exchange. It’s an exceptional way for you to place bets with other sports fans. All peer to peer betting happens on a betting exchange. You can place wagers and bets on a huge variety of sporting events, or you can play bookie yourself and take bets off other peers. It’s fast, fun and exciting! One of the biggest benefits of using a betting exchange rather than placing wagers at an online sportsbook is that you get to ask for the odds you want on a particular event. Alternatively, you have the power to offer the odds you want on an event on a sports event to allow other bettors to back. If you decide to be the layer for a sporting event, you can lay any bet other punters want to place. If the bet loses, you win from other punter’s stake money. If their bets win, you must pay them out at the odds you offered. Let’s say you offer odds of 10 to 1 on a particular event. The layer placed a wager of 10.00 on the bet. It lost. That means you win 10.00 stake money from the punter. But if the bet won for the punter, you must pay them their winnings which, in this case, is 100.00. When you decide to be the backer at a peer to peer betting exchange, you can decide which game or match you want to place a bet on. You then accept the current odds, pretty much the same way you would at a sportsbook site. The odds are usually displayed in a way that the ones with the highest values are displayed first. But because of those odds on offer by other punters, there’s a certain volume of wagers available only with those odds. It’s all based on how much the layer has decided to risk on the bets. If you don’t really want to accept the odds, you can always ask for the odds you’d prefer and if a punter (layer) is prepared to offer those odds once you place your bet at the betting exchange, layers have the option of accepting the odds. Does Peer to Peer Betting Trump Sportsbooks Betting? Peer to peer betting is appealing if you’re keen to bet on your favourite sports and back up your own predictions on any outcome either as a layer or a backer. There’s also the benefit that betting exchanges usually offer far higher odds than a sportsbook since there are so many punters using the betting exchanges and that means a lot of competition for layers wanting their proposed betting odds accepted by the backers. Does peer to peer betting on a betting exchange trump sportsbook betting? They both have their pros, but peer to peer betting overall is exciting, fast-paced and filled with opportunities to turn a profit!